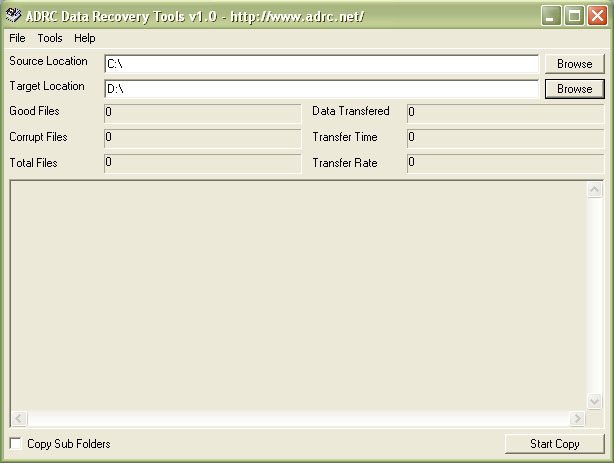 If you are happy with the utility, share the information with others about ADRC Data Recovery Software Tools or place to link to our download home page. 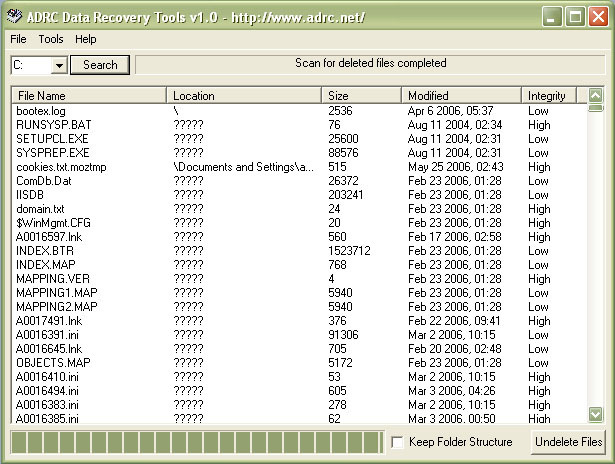 Recover lost and deleted data from hard drives, floppy disks / zip drives, basic or dynamic volumes,compressed or fragmented files,compact flash, Smart Media, USB drives, MP3 Players etc..
Recovers files from disks with physical damage such propagation of bad sectors on disk. Transfers binary raw image from one drive directly to another. It is rather similar to the infamous "Ghost" function. 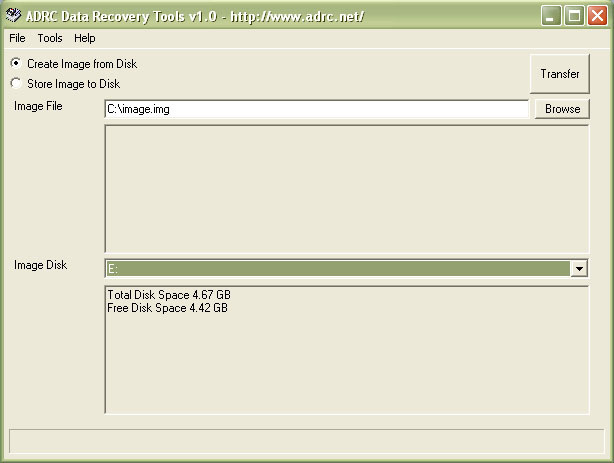 Also performs a disk clone backup. 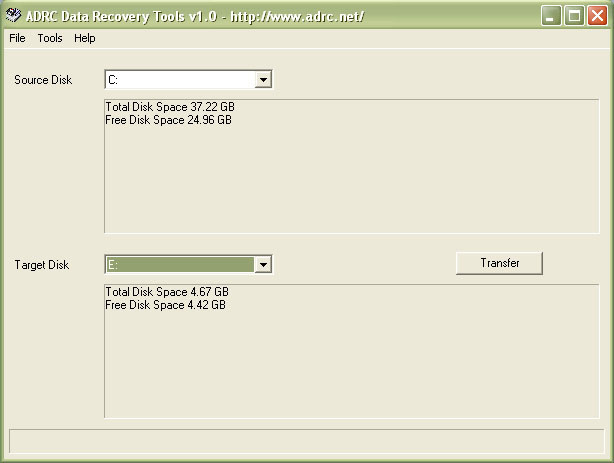 Create and write disk image files to and from hard drives and any removable media. 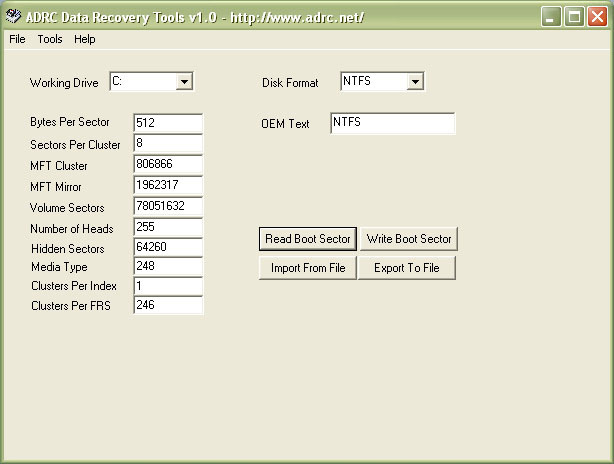 Import or export the boot sector of a drive.